Ironically, the world of medicinal marijuana has been conducting tests and studies — on animals — which focus on human consumption rather than on beneficial uses to the animals themselves. The studies are to determine whether cannabis is safe and effective when treating an array of conditions such as anxiety, depression, decreased appetite, inflammation, degenerative conditions, seizures, digestive problems, fibromyalgia, Alzheimer’s, cancer and much more. So, why is that we have been able to develop, market, and distribute medicinal marijuana for humans but it has not yet been made available everywhere to pets? The Food and Drug Administration (FDA) in the United States has been cited as saying there hasn’t been enough research behind the claims that animals can benefit from medicinal marijuana. 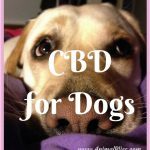 In scientific fundamental principle and practice, since the functioning of the endocannabinoid system is the same in animals as in humans, technically speaking, the same research could be applied to your pets. Pet owners aren’t letting organizations such as the FDA squander their hopes that someday medicinal marijuana for pets will be fully legalized. With every resistance from these agencies, supporters are backing the movement to legalization even more, in hopes of bringing more attention to the benefits of marijuana treats for pets. 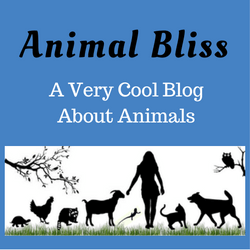 If you are reading this, you probably already have a background on the topic, understand the benefits, and are now wondering where you can access treats to help your pets. For further information on specific benefits of marijuana for pets, check out The Canadian Veterinarian Journal’s article on Marijuana for Pets where they go into more detailed science behind the drug and how it affects animals. 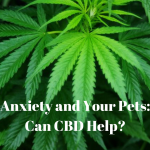 We will focus on what types of tasty marijuana treats you can offer up to your pets to provide relief from pain, to soothe and relax, and much more! If you don’t know which companies sell these tasty cannabis treats, we’ll share a list with you as well. Following up our section on treats, you won’t want to miss our list of tips and considerations to know before using medicinal marijuana for your pets. Not knowing how to properly use marijuana for your pets could put them in danger and cause unwanted health problems. The creation of most marijuana treats for pets is done through an extraction process of the hemp of the cannabis sativa from the rest of the plant, excluding the buds, leaves, and resin. This extracted hemp is later incorporated into various pet treats, made into tinctures and is often sold as an oil. Less than .3% of THC exists in the hemp, which means there will be virtually no psychoactive effects experienced. At present, according to The United States Drug Enforcement Agency, because marijuana is listed as a Schedule 1 drug veterinarians are not allowed to prescribe it. 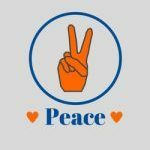 Luckily, there is a small loophole contained in the drug act, the definition of marijuana makes no mention to the stalks of the cannabis plant; therefore, there is no way to enforce against the production or selling of hemp-based productions. 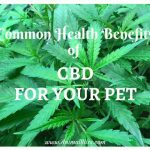 Although you can’t get a prescription from your veterinarian, you can take your pet’s health and wellness into your own hands and purchase marijuana treats for pets that are hemp-based. 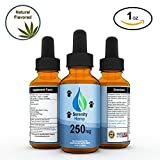 It is important to note that as hemp-based products technically fall under that category of supplements, you should be aware that they may not have undergone the same testing as new drugs and medicines would have. Using any of these supplements should be done at your own risk, and although they are generally safe to use, as with anything, you want to make sure you do your research before buying. Where Can You Buy Marijuana Treats for Pets? When sourcing your pet treats, make sure you purchase from a supplier that guarantees purity and can openly share with you the process for which their treats are created. Below is a list of companies providing hemp-based products in capsules, treats, drops, and tinctures. No matter which form you choose to give to your animal, make sure you choose the best option suited for your pet. Although many other companies do exist, we’ve provided only a few of the better-known ones that distribute across Canada and the United States. 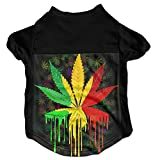 Canna-Pet: Purchase products by Canna-Pet either through their website or in one of the over 50 vet clinics and pet stores across the USA. 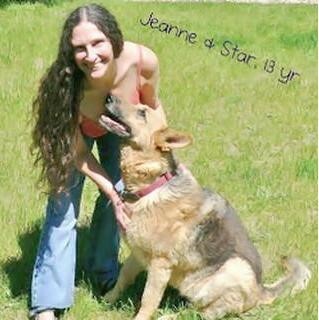 Products are available, in capsules, drops, and treats; for dogs, cats, and horses. They also have supplements for human use as well. Treatwell: Producing tinctures to be mixed in with your pet’s food or put directly in their mouths. Treatibles: Popular for their best-selling line of blueberry and pumpkin flavored cannabinoid (CBD) treats. Therabis: Selling sachets of cannabinoid compounds to help treat various conditions. 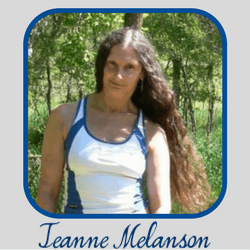 Products include: stop the itch, calm & quiet, up & moving, and a calming & quiet supplement. Following the tips and advice for proper marijuana use for your pet will be easy if you are a responsible pet owner. Keep in mind that although natural, cannabis is still a drug, and treating it as anything other than that could have adverse effects on your animal. 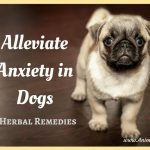 Overdosing can be very serious, which is why when administering either an edible treat, tinctures, or edible oil, as a responsible pet owner you should take great care. Watch for signs of vomiting, off-balance, diarrhea, or merely a zoned-out reaction. 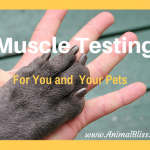 If your pet is exhibiting any of these symptoms and there is no improvement within a couple of hours, it is best to alleviate any worry and take them to a vet. If your pet appears to be having hallucinations, drooling from the mouth or severe and sudden loss of coordination, the overdose may be due to an ingestion of your personal stash. If this is the case, a visit to the vet should be immediate. An animal ingesting a human dose of marijuana could be fatal. The effect caused by THC in the body of an animal is not the same as in humans. If your pet were to access your THC strain marijuana, the ‘high’ experience for them wouldn’t be enjoyable but rather quite distressing. Dogs, among other animals, are susceptible to the effects of THC, which is why it is crucial that you look for THC-free weed for your pet. 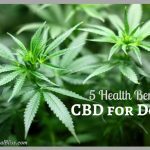 Simply put, CBD works in your system to increase the amount of endocannabinoids that are present. It is a natural mood lifter and does not have any of the psychoactive effects as found in THC. To read more about the hype around medicinal marijuana for pets, the NewYork Times published an excellent article in 2016 titled, Pets on Pot: The Newest Customer Base For Medical Marijuana. MMJ Canada has provided cannabis and cannabis alternatives to eligible patients in a safe, professional, and upscale environment for over four years. We offer free education from our friendly consultants, as well as complimentary consultations with medical professionals who have dedicated their time to educating patients on what will work best. 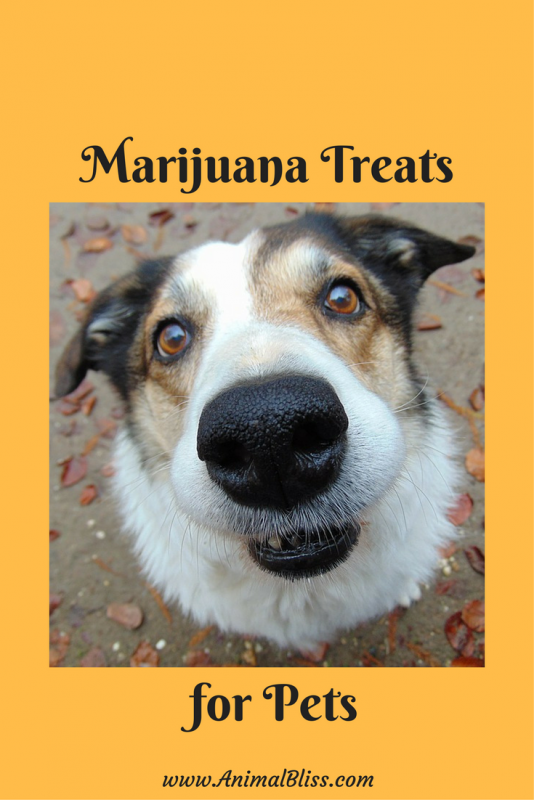 Are you open to trying marijuana treats for your pets? site and I believe this site is really informative!